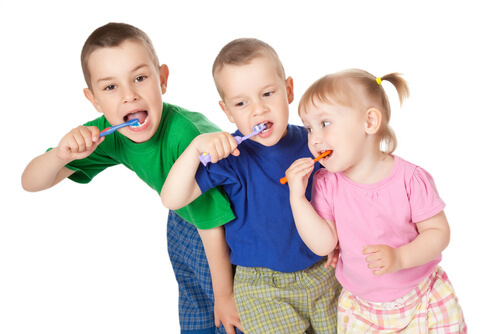 Dental Care is one of the important responsibility you should not ignore. Everybody, children and elderly, are given this responsibility; and it is one that you should not disregard. In dental health, the support of beauty and role of your teeth is best guaranteed when one truly makes an effort to see the dentist. You see the dentist, not just to find a solution to your problem, but you see the dentist even in the absence of a dental problem, in order to receive proper preventive dental care. – Teeth Cleaning: One of the most basic, yet truly effective preventive dental care procedures is teeth cleaning, which involves the scaling and planning of the teeth to remove adherent plaque that will encourage bacteria to thrive in the mouth. Regular teeth cleaning should be provided, at least twice a year, to maintain the cleanliness and the health of your patient’s smile. – Dental Sealants: When bacteria attacks the mouth, it may penetrate into the tissues of the teeth, destroying significant tooth structure, causing a cavity. As the disease progression continues, the bacteria penetrates deeper, so that more healthy tooth structure is lost. Dental sealant applications help to protect the teeth from being affected by bacteria. The resin sealant covers the tooth, preventing bacterial penetration, so that dental caries is prevented from causing big problems. – Topical Fluoride Applications: Dental Fluoride helps to strengthen teeth. It helps to make the teeth strong and when the tissues of the teeth are rendered strong, they shall become less susceptible to bacteria. Fluoride, if obtained sufficiently with drinking water, helps to make the teeth strong against bacterial attack. If the levels of fluoride is low, it can be increased by a topical fluoride application. While the work that the dentist performs in the dental office is important, your own efforts at home should not be belittled. As a matter of fact, your personal preventive dental care efforts will help maintain the health of your smile. The work that your dentist does is merely offer supportive care and you should not rely on it solely if you want to preserve your smile.